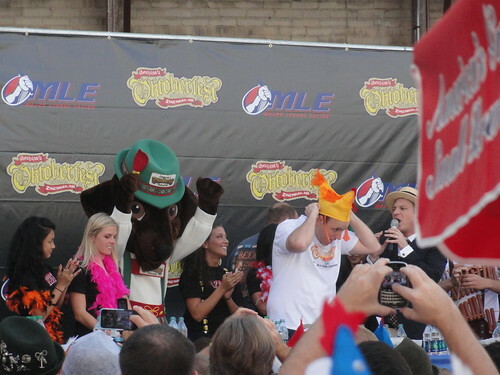 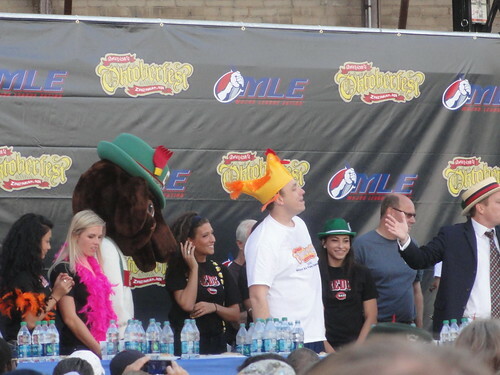 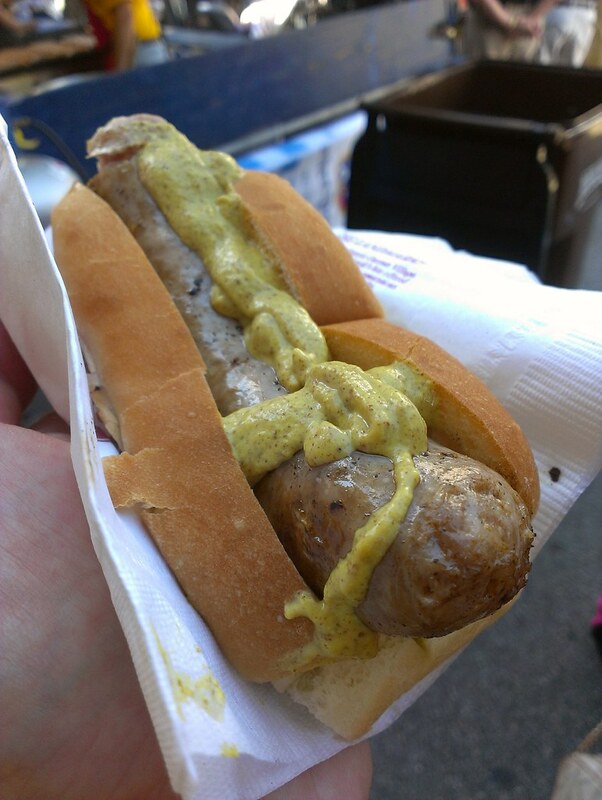 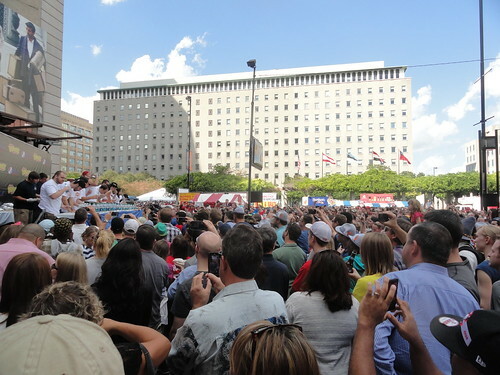 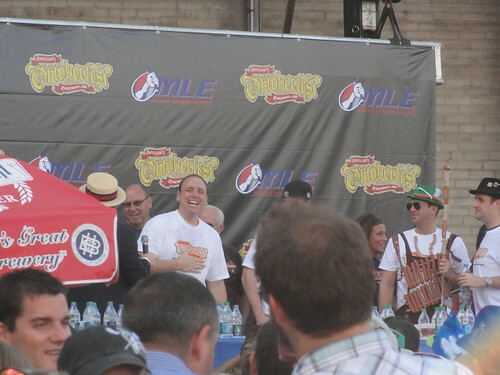 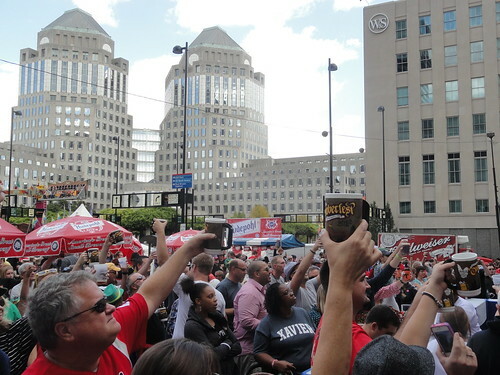 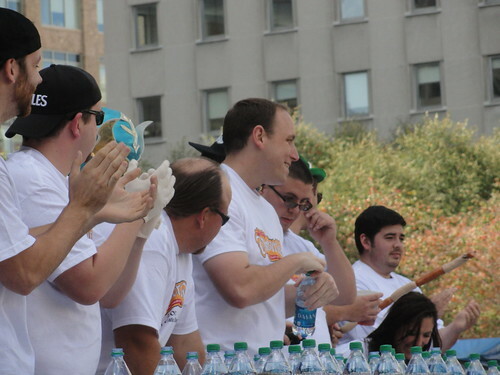 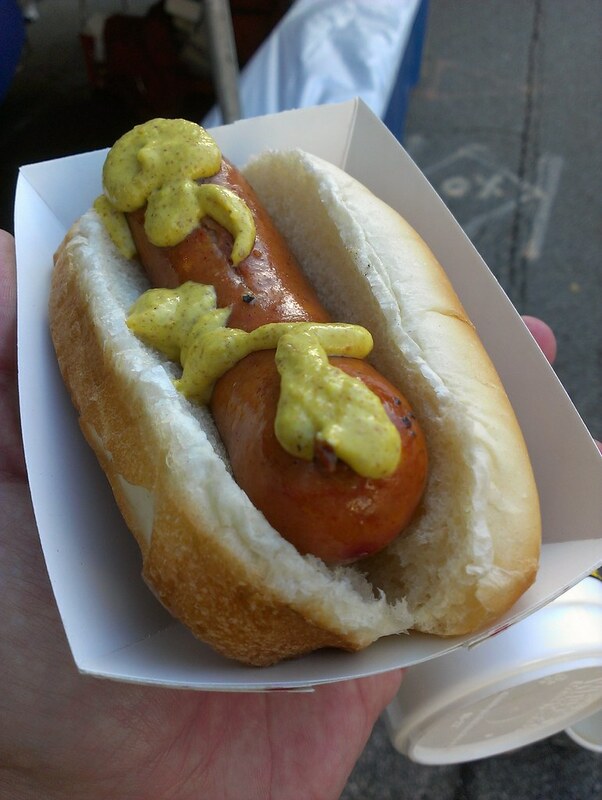 Joey Chestnut eneded up winning the Brat-Eating Contest after a one minute eat-off! 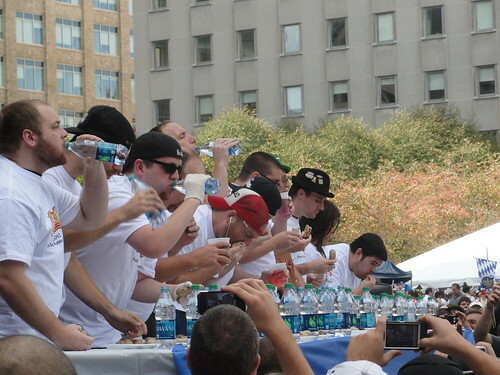 He ate 32 brats in 10 minutes and then 5 more in the eat-off. 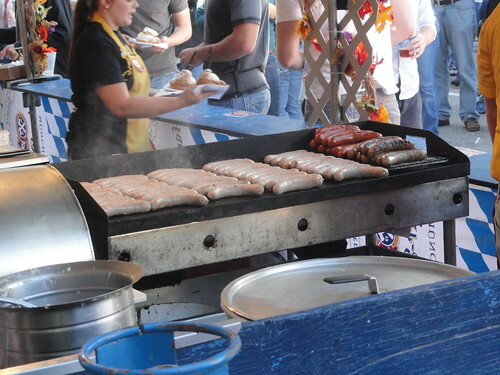 37 brats in 11 minutes! 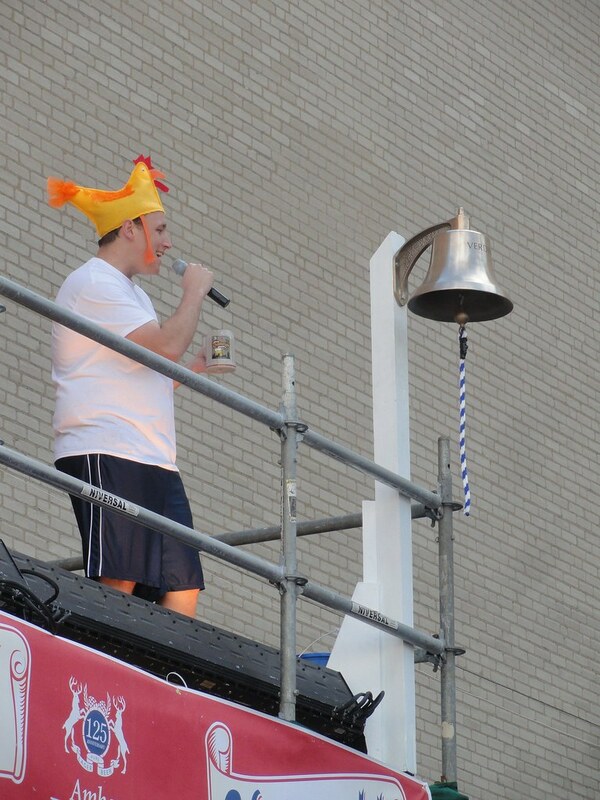 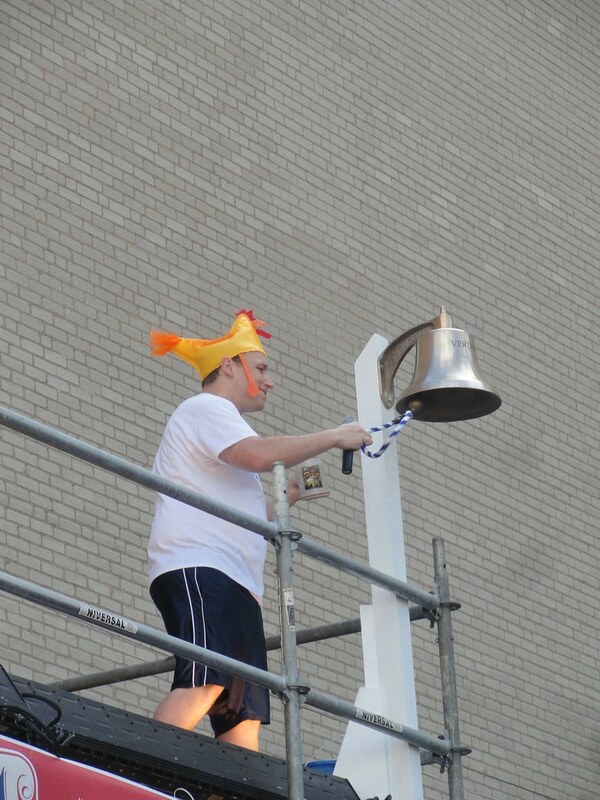 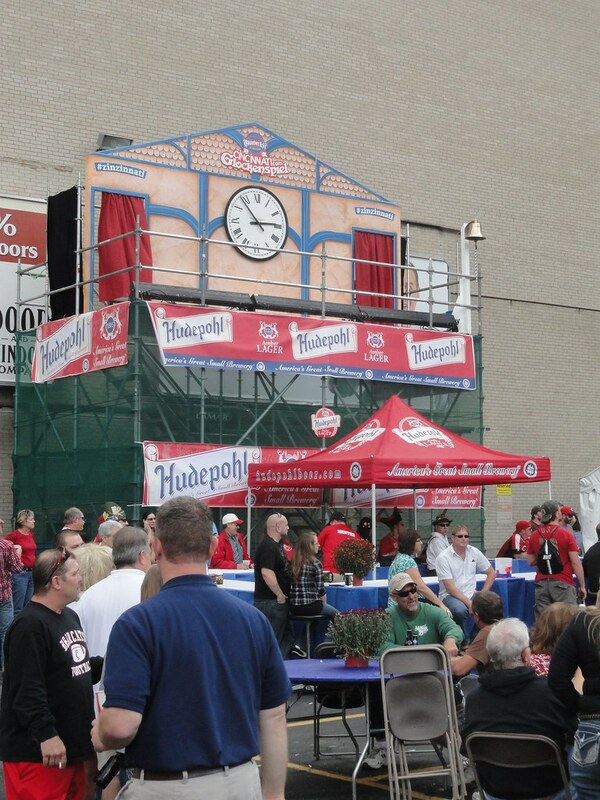 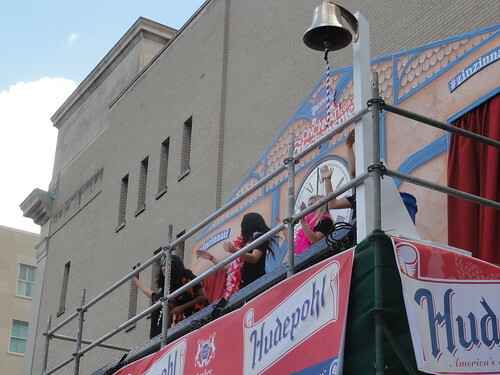 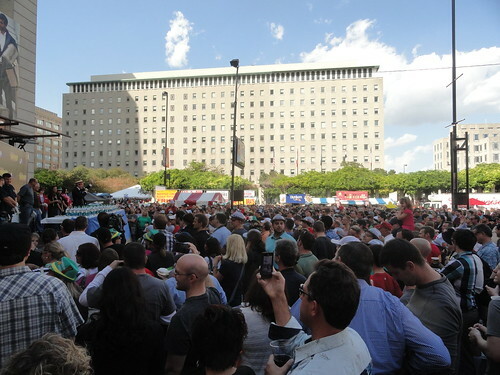 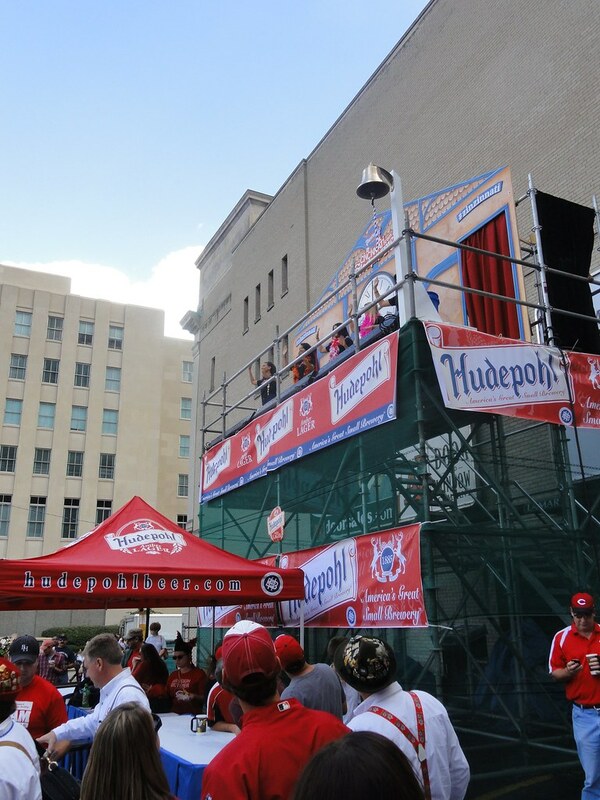 And then Joey Chestnut rang in the new hour of OktoberFest on the Glockenspiel Tower. 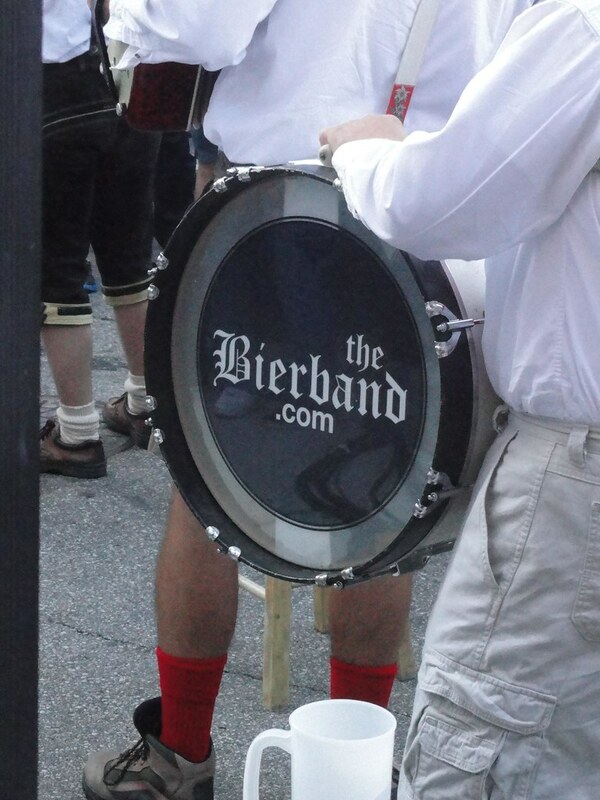 We stopped to listen to The Bierband. 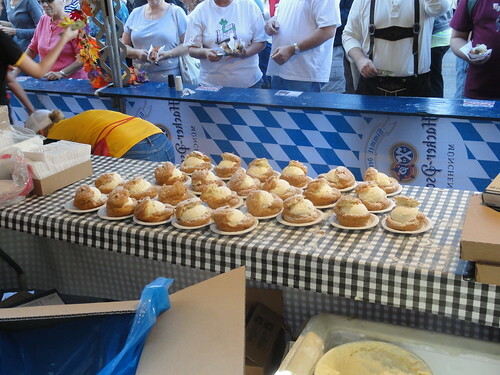 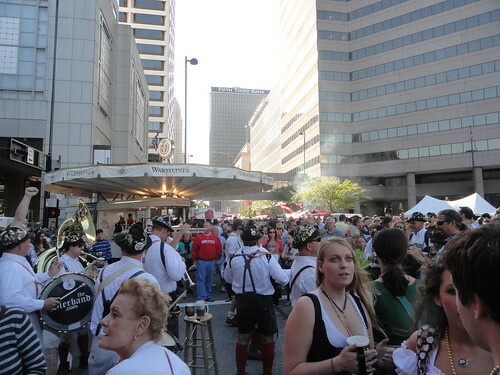 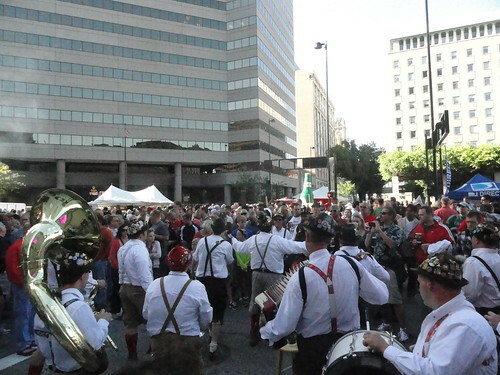 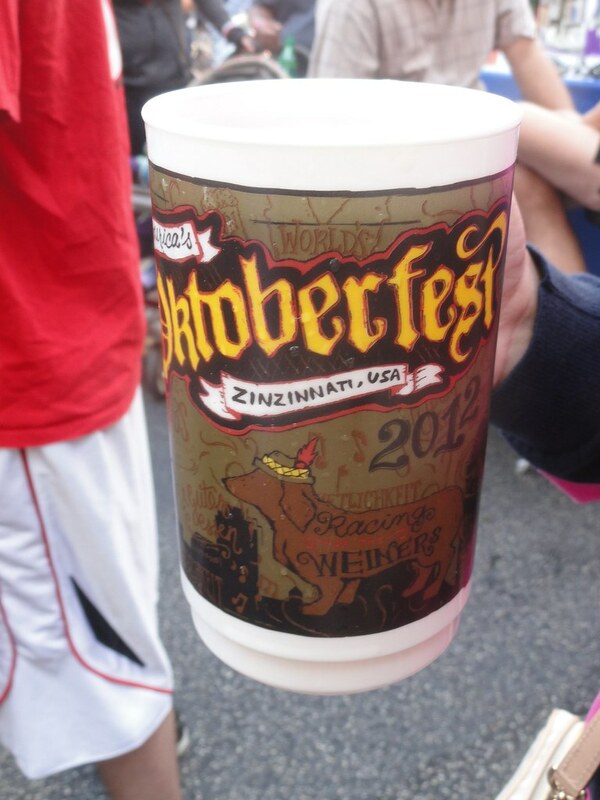 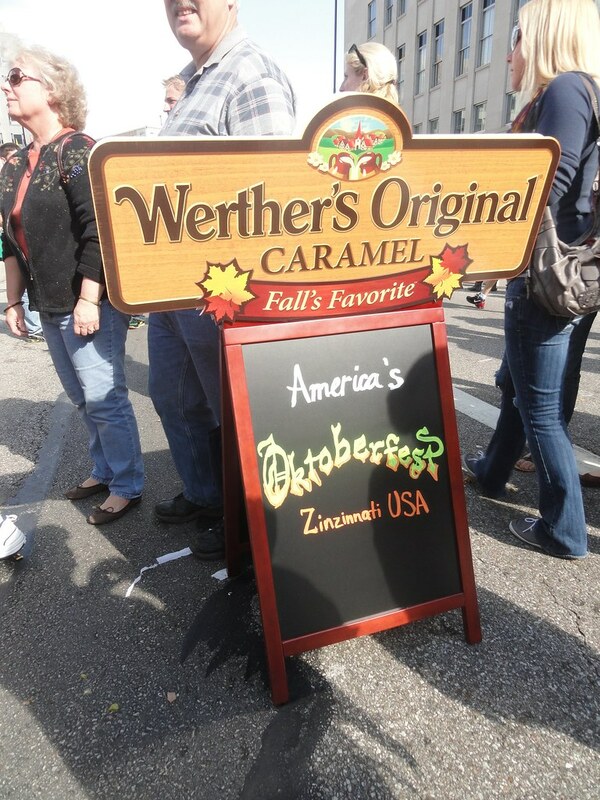 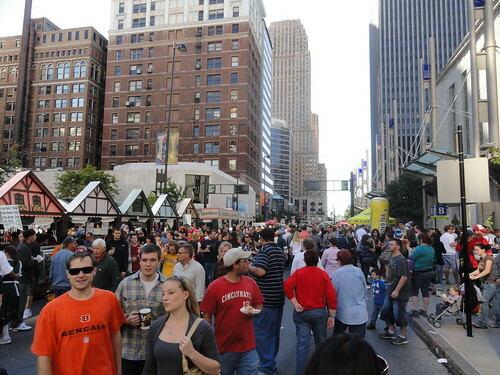 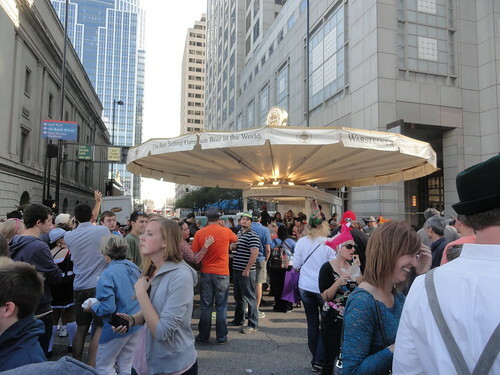 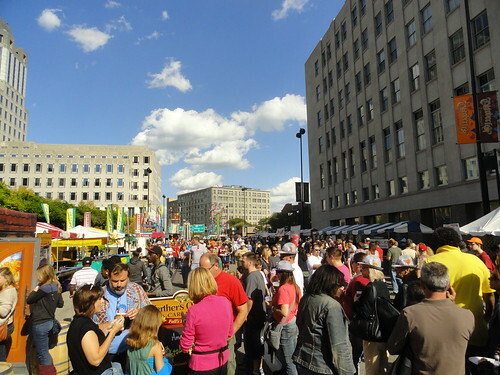 put on some long pants and a sweatshirt and head back down to OktoberFest. 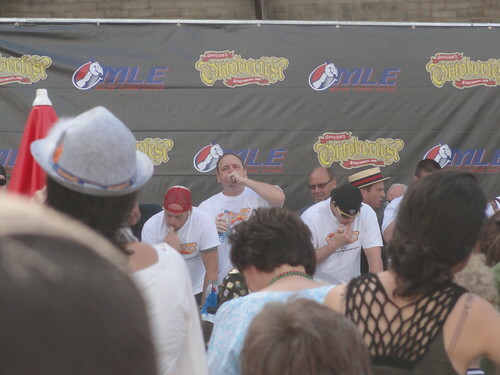 Ye-ah.